Home / Gay Accommodations / Italy / Rome / Room in the center - Casa "Somnium Scipionis"
Room in the center - Casa "Somnium Scipionis"
Comfortable accomodation in the central Pigneto district, a few minutes away from the center of Rome. In the apartment (65 square meters) there are two rooms (one of which is mine), a comfortable kitchen, hall, and a bathroom. In the room you can choose between a double bed or two single beds. You can use the kitchen, wifi, washing machine. The apartment is a few minutes from Termini station and the historic center. There is the metro station Pigneto, three tram lines and bus service (even at night). The check-in and check-out are flexible. If desired, there would be the possibility of adding a third bed. The Pigneto is a district of night life, full of bars, taverns, restaurants, pubs, wine bars. It is a few meters from the pedestrian area where the morning there is the marketplace, and the evening it is a social spot for young people and people of all ages. I am passionate about history, traditions and customs of Italy and Rome. 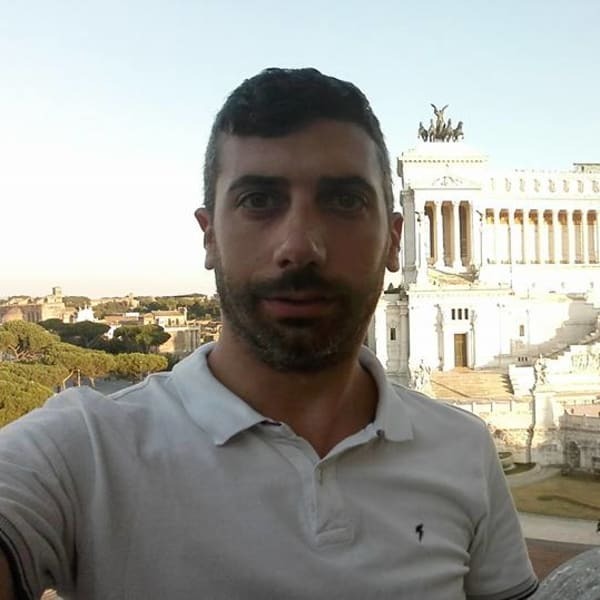 I would be happy to host in my appartment who wants to know the beauties of Rome, the monuments and the vibrant gay life.